A charming gift for her on any occasion! 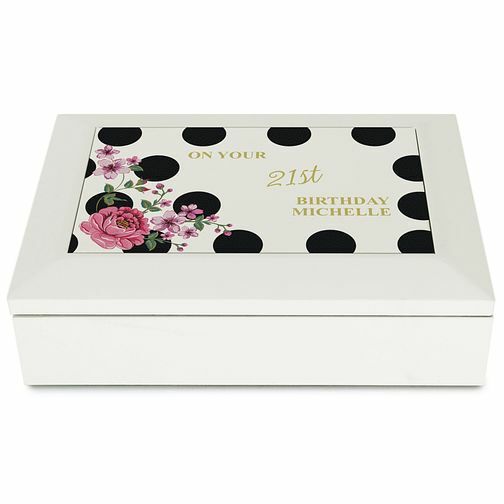 This stunning Personalised Floral Dot jewellery box is sure to be treasured by her for years to come. It can be personalised with a special message of your choice, making it a truly unique gift. The Wooden Jewellery box has a large compartment with a mirror in the lid. Personalised Floral Dot Jewellery Box is rated 5.0 out of 5 by 1.